To those of you who wants to share your life with the world.. but afraid of being stalked by stangers. To those of you who only wants to share with close buddies. To those of you who wouldn’t trust anyone other than your family members. Try PATH. It’s a limited social networking app for users to share their photos with only 50 close friends and family members. Capture life’s moments in photo or short video, make your moments beautiful with lenses, share with a small group of close friends & family, have intimate conversations, and be yourself on the simple and private network you can trust. They are the same guys who brought you the app “With” too. Click the link to check it out if you havent. 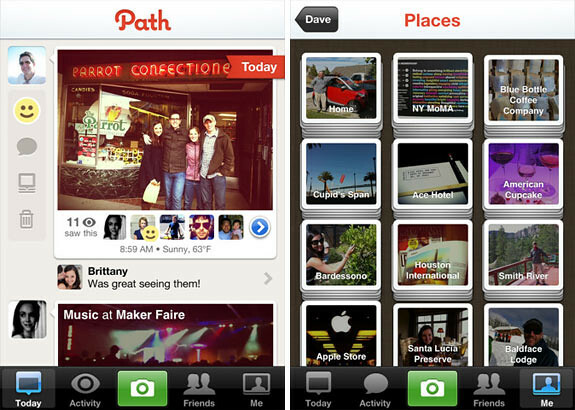 The Path app has been around for the iPhone for quote sometime already but seems like not many people are using it compared to other apps like Instagram. I also feel that the app is kinda dull as we are not able to apply effects to the photos. 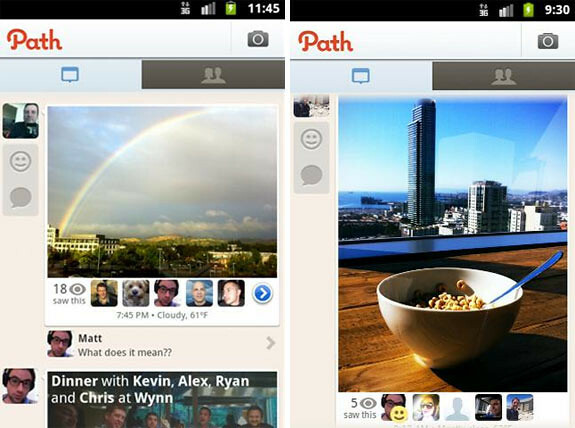 Like it or not, Path is now available on Android too! • Capture life’s moments in photos or short videos. • Make your moments more beautiful and personal with Lenses. • Share with a small group of 50 close friends & family via iPhone, Email, Web, or Facebook. • Tag your moments with people, places, and things to add context. • Know who has seen each of your moments. Path – Nervous at Home from Path on Vimeo. 2 Responses to "Share Photos Privately With 50 Friends & Family With Path, Now On iPhone & Android"
esta ed una aplicacion espectacular, me gusta mucho es un modelo especial para las redes sociales, pena que aun no existe para nokia c3.